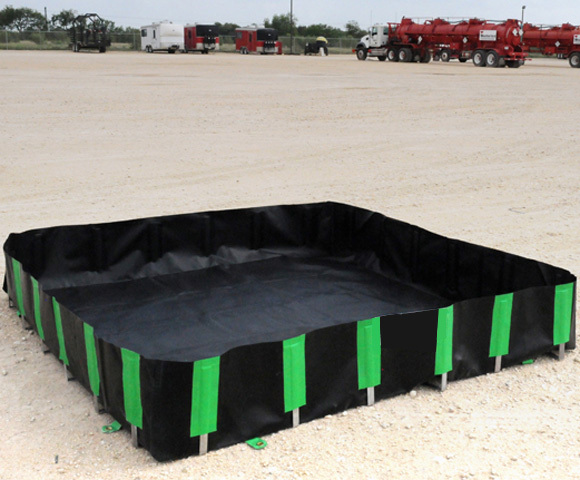 The Frame Containment Tank is a small storage unit designed specifically for decon or tank containment activities such as washing down equipment, temporarily containment small leaks, or decontamination of equipment. 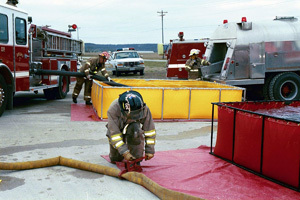 Below you will find standard sizes and specifications for these decon tanks. If you require something larger or more robust, please do not hesitate to contact us. Similar to our other collapsible tanks, the frame tank is an extremely flexible product that can be built to almost any size requirement. Any time you are looking to contain materials in these storage units we typically ask for a complete list of the liquids that will need to be stored within the tank. This can help us provide you with the best fabric for your application.